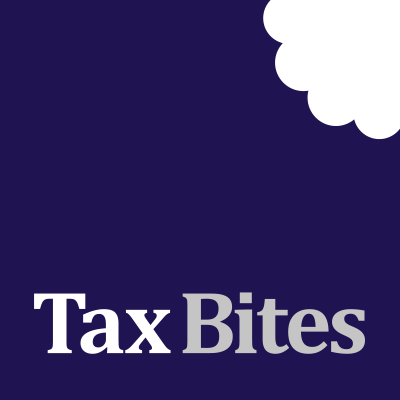 This week we report on another tale of Entrepreneurs’ Relief woe that has arisen in the case of Philip Hunt v HMRC. In 2007, Mr Hunt was approached by Foviance Group Ltd to take over the role of Chairman of the company. He agreed to come on board, and to invest £50,000 into the business. However, the company’s lawyers advised that instead of subscribing for ordinary £1 shares (which would have required permission being obtained from other shareholders) it would be simpler to create a new class of 10p share. According to records at Companies House, Mr Hunt was allotted 73,448 £0.10 ‘E’ shares which he subscribed for at a premium of approximately 58p per share. Over the years Mr Hunt invested further amounts and so that by the time the business came to be sold in August 2015 he held 173,448 shares out of a total of 2,973,226 (i.e. 5.84%). According to the company’s articles, capital rights were divided by reference to the number of shares in issue so (we assume) he also received 5.84% of the sales proceeds. With regard to voting power, we are told that Mr Hunt’s shares gave him 173,448 votes out of a total of 2,794,835 (i.e. 6.21%). (b) Those shares confer at least 5% of the voting power of the company. Mr Hunt made a claim for ER on the basis that he satisfied these conditions by reference to the above percentages. The issue put before the Tribunal was whether or not condition (a) had been met. Whilst on a simple count of the share numbers Mr Hunt had over 5%, the beady-eyed reader may have spotted a problem. If the calculation is based upon the nominal value of those shares he held less than 5%. This is because his ‘E’ shares had a nominal value of only £7,344.80. According to Companies House, the aggregate nominal value of the shares was £2,581,970.80 of which Mr Hunt’s shares accounted for £107,344.80 (i.e. 4.16%). For ER purposes, “ordinary share capital” is defined as “all the company’s issued share capital (however described), other than capital the holders of which have a right to a dividend at a fixed rate but have no other right to share in the company’s profits”. HMRC’s view was that this meant 5% of the nominal value of the shares in issue. Mr Hunt’s tax adviser argued that the Tribunal should take a more purposive approach, given that the purpose of the ER legislation was to provide a lower rate of tax to stakeholders and that to refuse ER to a person such as Mr Hunt, who had more than 5% of the votes, more than 5% of the dividend rights and more than 5% of the capital on liquidation but less than 5% by nominal value “cannot be the right test”. Unfortunately for Mr Hunt, previous case law has established that “share capital” is measured by the nominal value of the shares. The Tribunal concluded that this was a simple, workable test and that the court had no authority to infer an overall purpose – the court’s job was to put fair meaning on the rules in front of it. It was recognised that there might be cases that fall within the general object or purpose of the legislation but “failed to satisfy its terms”, but that this was an inevitable consequence of having a simple test. We expect the majority of professional advisers, whilst being sympathetic to Mr Hunt’s case, would agree that it is well established that ordinary share capital for these purposes is calculated by reference to nominal value. Interestingly, the purchaser of the company in this case was the accountancy firm Ernst & Young, and they helpfully pointed the issue out to Mr Hunt prior to the sale. They even went as far as to offer to delay the transaction by 12 months to allow Mr Hunt to satisfy the rules (presumably after a restructuring of the share capital). Ironically, the Government made changes to the ER rules in 2018 which mean that individuals now have to satisfy the “economic requirements” of being entitled to either 5% of distributions or 5% of proceeds on a return of capital. This change was in response to manipulation of the nominal value of shares (i.e. to enable individuals who were not true “stakeholders” to qualify). Despite these changes the nominal value test remains. Although Mr Hunt may feel aggrieved by the decision, his error was, in our view, a fairly obvious mistake that should have been spotted sooner. Although unhelpful to Mr Hunt, this kind of case is potentially helpful to taxpayers who are faced with HMRC trying to apply a purposive approach which is not backed up by the legislation. Readers should also be aware that as of 6 April 2019 there is now a two year holding period required for ER. We recommend that all shareholders take a look at their shareholdings in order to ensure that there are no issues lurking in the background.